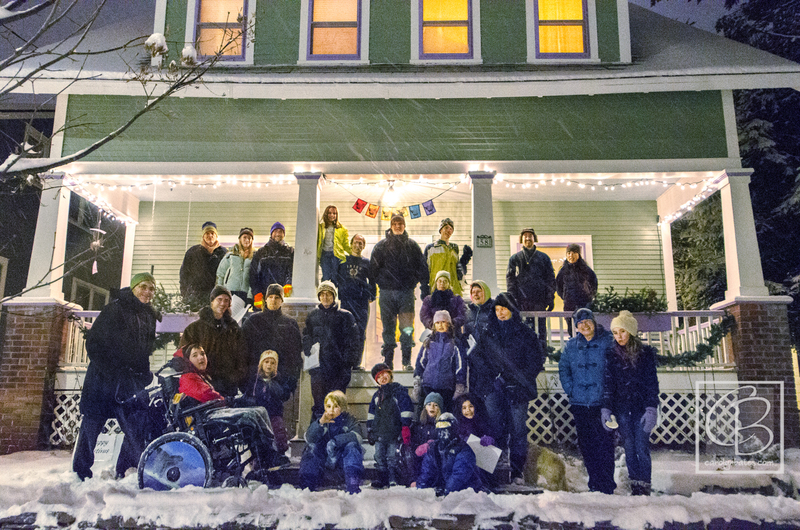 Caroling is one of our few remaining traditions where it’s acceptable to go door-to-door in your neighborhood and engage neighbors. Trick-or-treating… student fund-raisers… campaigning during election season… it’s a short list. 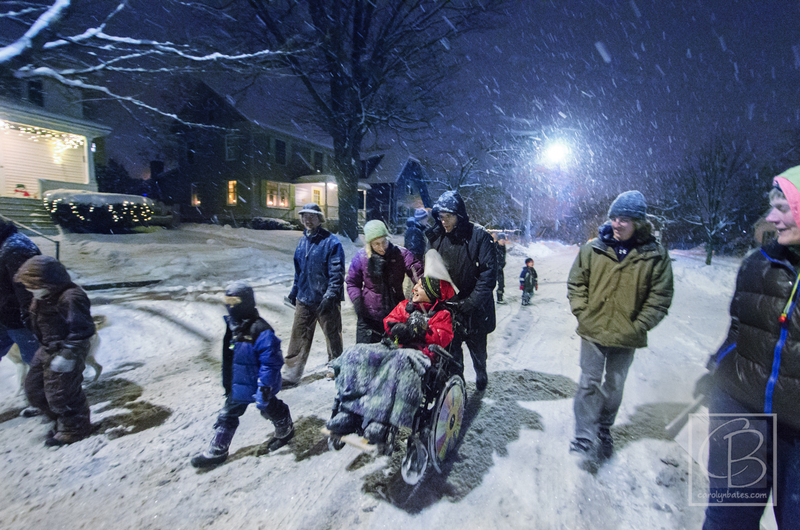 Our neighbor and local photographer, Carolyn Bates, has been organizing Caroling on Caroline Street with Carolyn for 20+ years… and it’s always a treat. Last night’s snowfall set the perfect scene. Thanks Carolyn et al.! How gratifying to know that people still go caroling. I thought that maybe this wonderful Christmas tradition had gone by the wayside like so many traditions have. Kudos to the Carolers on Carolyn Street. Reading about you made my day! I hope you inspire a resurgence of this wonderful holiday custom.